In January of this year, Aaron and I went on a budget. Last year was a big year and we spent all of the money! And at the end of December 2016, the day before we got paid, we had $24 in our checking account. We both have good jobs and we really don't have that much debt, so it shouldn't have happened. But it did. So we got a budget. 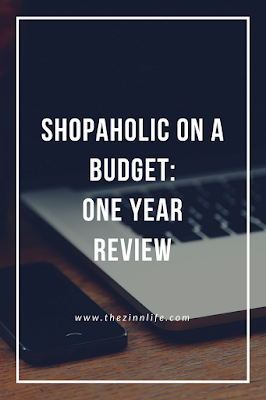 It's been a year (mostly) living on that budget. Here's how we did! Made two extra payments on our house. This will be our second year doing this. We spread those payments out equally over twelve months and just add it to our bills. Started tithing. We were really bad and didn't tithe at all for the first few years of marriage. This year, we made a commitment with our church and met it! Went on two vacations (not including wedding travel!). We went to the beach for a week and to Pigeon Forge/Gatlinburg, TN with our friends. Us, the Great Smoky Mountains and Baby Z! Survived 5 weddings in one year! Two of them were overnight travel. Survived $1,500 in taxes. We won't even go there. Paid off our TV. Our TV died (or so we thought!) at the end of last year and we bought a gigantic new one. Turns out the TV didn't die (we gave it to our friends to see if they wanted to try and fix it and bam! it magically turned on), but we paid it off in about three months. We are still paying off the couches. Paid off all our credit cards and will finish Christmas with almost no debt. This is huge! We had so much debt at the end of last year. It took us a good three months to get the credit card paid down. There will be about $200 left on the credit card at the end of this year, but that will easily be paid off in January and won't really cut into our savings. Started baby prep! We have painted the room (which isn't cheap), bought two car seats through store and consignment sales, two strollers and a few other items. We've also started a diaper stockpile. It hasn't been a huge amount of money, but it's been a good investment that we won't have to make later. We're doing one last house project before baby comes: backsplash and under cabinet lighting! Everything is bought for that, but we've asked our parents for help with the project for Christmas. When I look at that list, I'm pretty darn proud of us. Don't get me wrong, we have strayed from the budget from time to time. The summer was pretty rough with all the weddings and vacations. We've also made some changes to our budget this year. We paid off my cell phone, so that bill went down $35/month and we got rid of cable. That alone is a savings of about $70/month. With daycare and (hopefully) a new car purchase coming up in the next year, those will definitely help out! Saving for a big downpayment for my new car! And car repairs, boo! This was on the list last year and is still our main focus. We thought we would be able to save more and get more car, but that's not looking like reality. We're still planning to have a hefty downpayment so we can make sure our car payments are around $300 or less. And no, I will not be buying a minivan. Having a baby. We just got the contract for the doctor. That's not even the hospital or anything else. Yay baby! Trip to Colorado. Aaron's cousin is getting married and we had talked about making it a big trip before we found out we were pregnant and we're still going to make it happen. Get the traveling in while we can! Obviously, our budgeting won't be slowing down any time soon. It's not always been easy. I'm always out of spending money by the end of the month (sometimes, by the beginning of the month...), but it's so rewarding when you see what all you can do with a little planning! Here's to next year, new goals, new babies and new challenges! What about you? Do you budget? What big things did you do this year? !